I’m constantly being reminded that my kids are growing up, but this week really gave me the 1-2 punch. First, my 9 year old daughter asked me if Peter, our Christmas elf from “Elf on the Shelf” fame, is real. And where did this out-of-the-blue idea come from? From a stinking “One Step Ahead” catalog, which sells…wait for it…baby and preschool toys! Yeah, on the back cover, it features “Christopher Pop-in-kins” the elf and reminds parents to “keep moving the doll around.” Geez, I didn’t know I needed to screen my toy catalog from the kids! Way to disillusion my child, people! And what’s worse, I can’t tell you the last time I’ve ordered anything from them either (and definitely won’t now). So you can imagine the topic of the next question after the revelation about our beloved Peter-yep, Santa Claus. And imagine your child looking at you with those imploring, puppy dog eyes and saying, ” Mommy, tell me the truth.” Granted, I knew this day was coming and truth be told, she took the news with grace and was even enthusiastic about her future role in moving Peter around for little brother, Jared. She seemed excited to be let in on the grownup secret and figuring out what exactly happens to the milk and cookies. She was ready-but I wasn’t. Which brings me to the second little revelation, this time involving Jared. He excitedly tells me he has a loose tooth and when he wiggles it, it almost pops out of his mouth! Yes, this is my “baby” and the idea that he will soon have a snaggletoothed grin just guts me for some reason. Keep in mind that I cried at the end of Toy Story 3 (then again, most moms I ask say they did too, so I’m in good company). So what if I should have stock in Kleenex? In these moments, I’m reminded why I chose to stay home in the first place- to catch these milestone moments as they happen. And I find myself turning on my mental video camera because I need to remember all this, knowing full well that the tween and teen years are soon to follow. OK, now I REALLY need a Kleenex! OH, Sherry! We are going through the same thing here! How lovely that Barnes and Noble has a HUGE Elf-on-the-Shelf display right in front of the Children’s Section…and we went in, thinking nothing about taking the kids to B&N in November. Last year, I wouldn’t let them into the store in December, b/c I saw the display. Kristen sees it and says, in front of Mikey, “It’s fake! 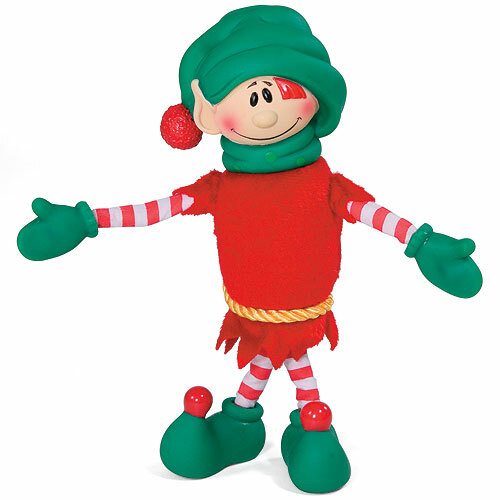 Santa didn’t really send our Elf, Comet!” Oh, sad…and I was completely unprepared. She didn’t press any further about Santa…but she’s on to the Elf fiction. And now–Mikey also has a tooth about to pop out! It breaks my heart–but I’m acting excited for him. Ah, my friend…I think we mommies need a bottle of wine, some Kleenex, and a girlfriend boo-hoo session! I am with you girlfriend! Alix will be 11 the 25th and I think she is just going along with all of our adult idenities. Toothfairy, Santa & his reindeer, the elf that moves around the house, lets not forget the bunny. Lst year I think she said in her head “yeah right Ma” but I am trying my hardest to make it last. But now this year I feel kind of dumb since she is 11 and I think she knows but isn’t saying anything. Alix just losed a tooth last week and yes that fairy came! LOL! Seriously. So what does one do if your kids never asks and they just keep on going? 18 and still going with it! HA! kidding. I like that Taylor knows and will love doing the stuff for Jared. It is pretty cool because she is “in on it.” Dont worry Sherry you still have bras and menstruation cycles to go……….it’s all good! I would even think Taylor would have known by now, she is just that kind of kid. She has that writer brain that just can get it and get it quick. Tell her to tell Alix!!!! LMAO!!! !